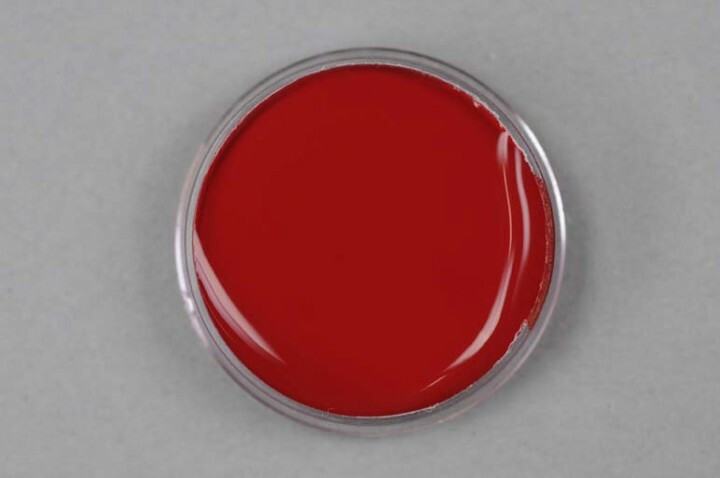 Kremer Color Paste - Ruby DPP, PR 264 | KREMER Color Pastes | Ready-made Colors | Kremer Pigments Inc. Does not contain binder. Shake well before use and add aqueous binder. When used with cement only for interior use. Do not treat with hydrochloric acid. Color Pastes are the answer to high quality, intense and lightfast waterbased paint. They are concentrated pigment dispersions in water and easily make 2 - 8 times their original volume in vibrant paints. Customer evaluation for "Kremer Color Paste - Ruby DPP, PR 264"